Mary has been one of our wonderful foundation females and produced very nice cria for us. It is time to change our genetics and offer Mary for another lucky ranch! 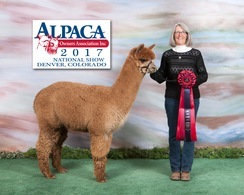 This young male is knocking it out of the park with his presence and fleece! Western Sky (Wes) is a big male that is sired by none other than NeverSummer's Manchester. 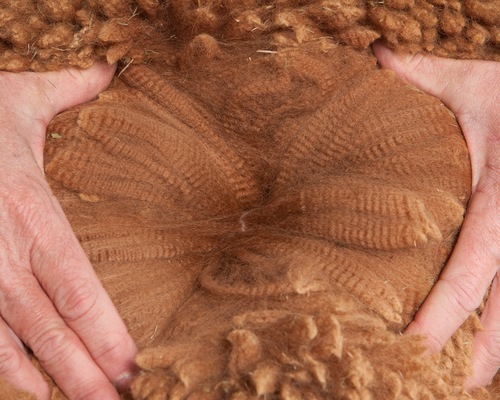 Wes has a wonderful soft hand to his fleece with a great crimp style and organization. Long staple and density add to the package! Add PJA Western Sky to your herd and you will not be disappointed!